Mr. Constantin Brânzan is a highly renowned expert, having a professional experience that spans over four decades. He has a broad expertise gathered along his judicial career as judge in courts of all levels including with the High Court of Cassation and Justice for more than 12 years. 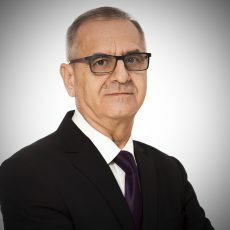 During his career, Mr. Brânzan has also been the Director of the National Institute of Magistracy and a judge within the Court of International Commercial Arbitration.